The content is engaging and international in outlook. The curriculum is also popular with teachers as it is easy to implement even for those without early childhood experience or training. The curriculum integrates seamlessly with other methodologies such as play-based instruction or any one of the forms of Montessori popularly marketed in Cambodia. Many preschools and even some of the more well-known institutions in Cambodia have traditionally used photocopied materials that lack structure, learning objectives, and modern content. 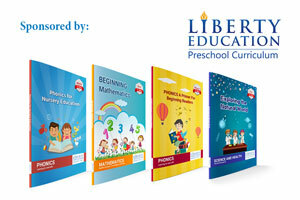 Liberty Education’s International Preschool Curriculum addresses these short-comings with an organized, creative curriculum that is appropriate for bilingual instruction in Cambodia. The licensing fees are affordable and adoption of the curriculum improves educational outcomes for the schools that implement it. Interested school owners and academic advisors are encouraged to visit Liberty Education’s website for more detailed information.